A photo of the writer (left) with Yang Dimuliakan Pehin Orang Kaya Shahbandar Dato Seri Paduka Haji Mohd Salleh bin Haji Masri (centre) and Pehin Jawatan Dalam Seri Maharaja Dato Seri Utama Dr Haji Awang Mohd Jamil Al-Sufri bin Begawan Pehin Udana Khatib Dato Paduka Haji Umar. IT IS said that the greatest strength is forged in the fires of great adversity. The end of the Japanese Occupation during World War II in the 1940s ignited the spirit of nationalism among certain intellectuals who were schooled abroad, and their leadership ultimately paved the way for Brunei’s independence in 1984. After the Japanese surrendered in 1945, Britain hastily set up the British Military Administration (BMA) to oversee the governments under their influence, including Brunei. 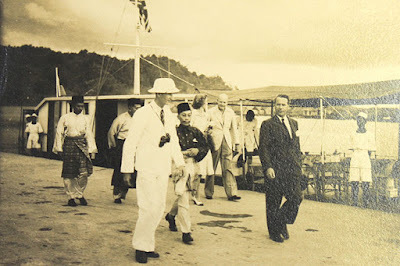 British officials in charge of administrative matters in Brunei resented the fact that many locals had cooperated with the Japanese in order to preserve peace – a sentiment that probably stemmed from their military ties and their wartime experiences. Nevertheless, several local officers were denied posts in the government after being denounced as Japanese sympathisers. Many youths were treated as foreigners in their own country and imprisoned without trial. 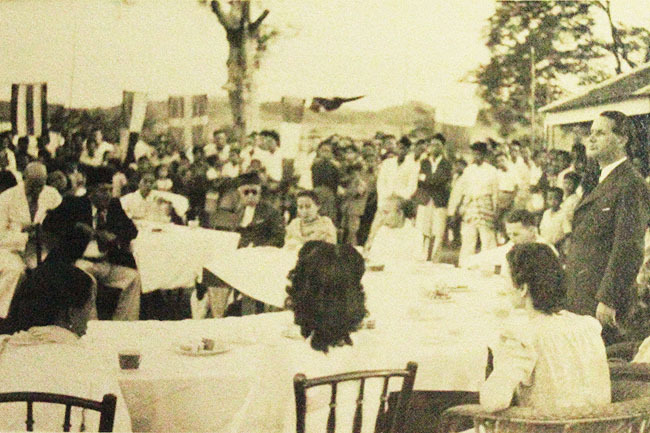 The formation of Barisan Pemuda (BARIP) in April 1946 sparked a growing sentiment of nationalism among the local youth, particularly those in Bandar Brunei, to fight back for their rights in the land which they called home. Increasingly vocal about their mistreatment, they risked losing not only their assets and social standing, but also their own lives, in the pursuit of restoring the country to a Malay Islamic Monarchy (MIB). One name stood out among others in the British Resident’s records: H M Salleh, (also known as Yang Dimuliakan Pehin Orang Kaya Shahbandar Dato Seri Paduka Haji Mohd Salleh bin Haji Masri) who was supported by prominent local leaders such as P Y or Yura Halim (Yang Amat Mulia Pengiran Setia Negara Pengiran (Dr) Haji Mohd Yusuf bin Pengiran Haji Abdul Rahim) and Mohd Jamil bin Umar (Pehin Jawatan Dalam Seri Maharaja Dato Seri Utama Dr Haji Awang Mohd Jamil Al-Sufri bin Begawan Pehin Udana Khatib Dato Paduka Haji Umar). H M Salleh led the BARIP movement and wrote about his experiences during the war in his book, ‘Tunangan Pemimpin Bangsa’, which he wrote while being incarcerated for 100 days in Kuala Belait by the government. Written in the Jawi script, the book described Brunei’s predicament by the Japanese regime and discriminated against under the BMA, with anecdotal evidence and records of events that the British Resident failed to record, such as the Ganyang China Incident, which was an altercation between the Malays and Chinese which led to the imprisonment of several key figures in BARIP. During the arrival of Malcolm MacDonald, the British High Commissioner for Asia to Brunei in 1947, BARIP members raised a decorative arch which bore the following phrases: ‘Exclusive rights for the Sultan’, and ‘The Restorer of Peace and Justice, and his subjects’. This was frowned upon by the British, who demanded that BARIP change the wording. BARIP responded by saying that its members would only erase the words with their own blood, an act of defiance which would later influence the tide of opposition against the British. To avoid further conflicts, the arch remained for the duration of MacDonald’s visit. Another undocumented event in 1947 illustrates the staunch patriotism of the BARIP leaders. 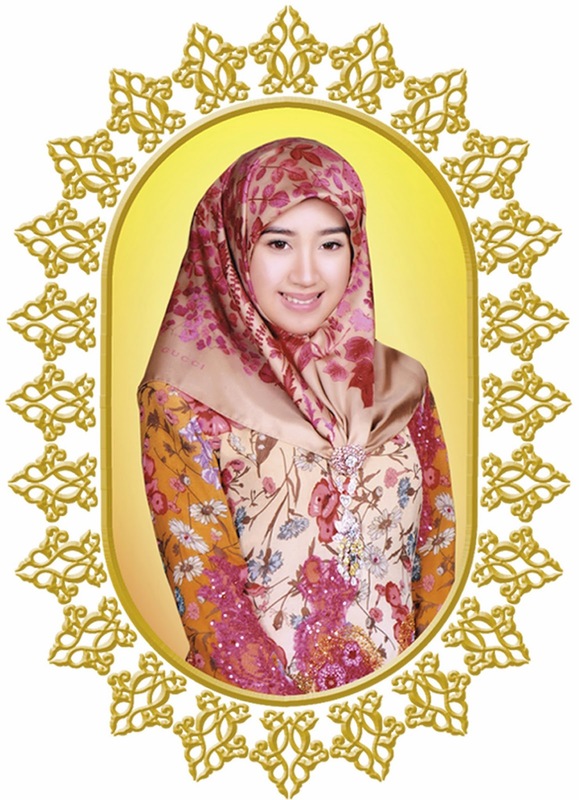 Influenced by foreign powers, all buildings in the vicinity of Bandar Brunei refused to carry the flag at half-mast upon the announcement of the death of Her Majesty Raja Isteri Pengiran Anak Siti Fatimah. With the consent of Pengiran Bendahara Seri Maharaja Permaisuara Pengiran Muda Omar ‘Ali Saifuddien (Al-Marhum Sultan Haji Omar ‘Ali Saifuddien Sa’adul Khairi Waddien ibni Al-Marhum Sultan Jamalul Alam), H M Salleh and the other BARIP members threatened to burn all the buildings in Bandar Brunei, unless the owners showed proper respect for the death of His Majesty’s mother, and they eventually yielded. In his interviews, H M Salleh frequently talked about the hardships faced by the Bruneians who were discriminated against in their homeland and denied their own heritage and sovereignty. 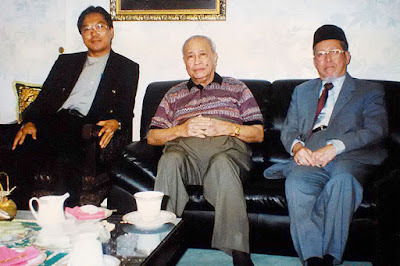 This particularly applied to those who had studied in Malaya and had personally met with Malay nationalist leaders, such as Harun Aminnurrashid who had been seconded to Brunei from the Sultan Idris Teacher’s Training College in Tanjung Malim, Perak. 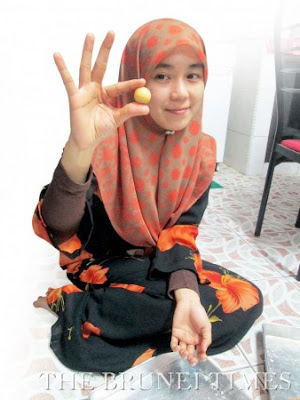 Harun Aminnurrashid played an important role in developing and influencing young Bruneians, including those who studied at the Sultan Idris Teacher’s Training College. BARIP’s words and slogans were often ridiculed and ignored, in favour of a perceived future full of peace and prosperity. Had our leaders followed the wishes of the majority back then, we would probably have ended up as an insignificant state with very little semblance to our former illustrious history. Some even questioned BARIP’s motives and mocked their efforts in publications such as ‘Ulu’, a book written in the West by Danish. The efforts of BARIP and other nationalist parties to hold on to the values of MIB and protect the country’s integrity ultimately led to the preservation of our national history for the current generation — a gift that that we should learn to value, for the sake of future generations. The arduous journey towards the preservation of our national philosophy was far from easy. We faced and overcame the ordeals of foreign interference, but at a great cost. We need to reflect on the challenges faced by important figures in our history, who fought for the preservation of our national history and cultural heritage We should not take their patriotism for granted, and always remember how blessed we truly are by Allah the Almighty. Significant historical figures who fought along Sultan Ahmad Tajuddin (1924-1950) and Sultan Haji Omar ‘Ali Saifuddien Sa’adul Khairi Waddien (1950-1967) from pre-independence days until World War II are: Pengiran Pemancha Pengiran Anak Haji Mohd Yassin; Pengiran Muda Abdul Kahar; H M Salleh; P M Yusof; Pengiran Abu Bakar; Pengiran Haji Muhammad Salleh bin Pengiran Anak Haji Muhammad; Pengiran Haji Metassan bin Pengiran Haji Omar; Pengiran Muhammad bin Pengiran Abdul Rahman Piut; Haji Hasbollah bin Muhammad Daud; Marsal bin Maun; Basir bin Taha; Muhammad Jamil bin Umar; Pengiran Mohd. Ali bin Pengiran Haji Mohd Daud; Abdul Hamid bin Othman; Othman bin Sungguh; Abdullah bin Ali Hashim; Pengiran Damit bin Pengiran Sungguh; and Othman bin Bidin and others.